A veteran of the Los Angeles tattoo world, Kari Barba got her start tattooing in 1979. In 1983, she opened Outer Limits Tattoo, which is now based in Long Beach and Costa Mesa. Originally from Minnesota, she always enjoyed art, but fell in love with tattooing when she was introduced to the art form by a friend. She’s won more than 500 awards for her work, which includes gorgeous art pieces such as portraits, animals, and more. She especially enjoys realism, portraits, Asian styles, and trash polka, and she stays away from tribal and cover-ups. 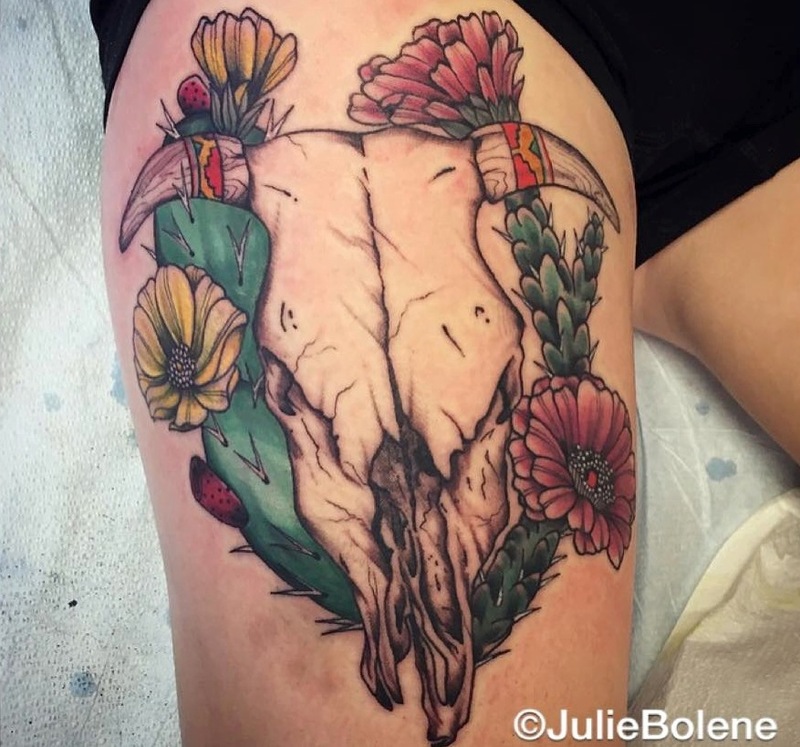 Julie Bolene — a self-proclaimed tattooer, painter, and dog lover — specializes in traditional tattoos in color and grayscale. Following a tour of art school, Bolene earned an apprenticeship with tattoo artist Kevin Quinn, and has since gone out on her own in Echo Park. 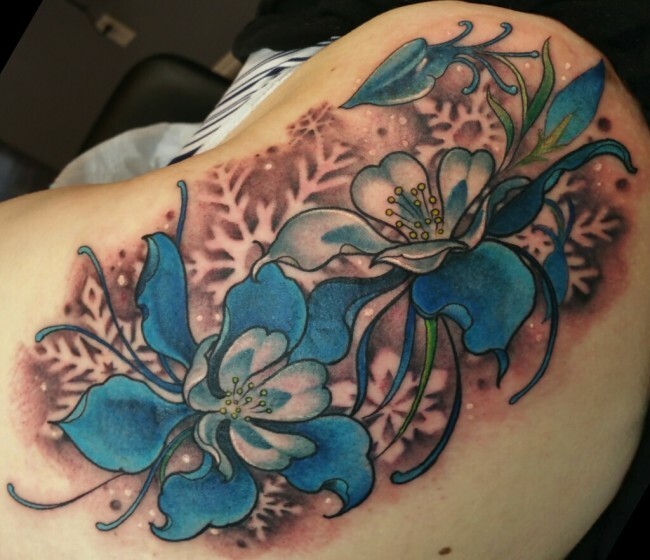 Bolene likes to create a positive experience for her clients by having the drawing done ahead of time, starting on time, and making the tattooing experience fun. Whether it’s a rendering of a realistic bicycle, intricate line work, or a vibrant seahorse, Karen Costleigh’s portfolio speaks for itself. She got her start apprenticing at Mike Pike and Jojo Ackermann’s Psycho City Tattoo at age 19 after she got her first tattoo. She currently works at True Tattoo in the heart of Hollywood and Ten Thousand Waves Tattoo Gallery in Sherman Oaks. Though her style is versatile, she especially likes traditional and black and gray tattoo work. Since he started tattooing in 2008, William Doolittle has become a sought-after Los Angeles tattoo artist. Though his father took him to his first tattoo convention at age 10, it wasn’t until high school that Doolittle decided to make a career of the art. He specializes in geometric dot work tattoos and especially likes when clients give him some artistic freedom in the design process. He’s upfront about his rates and can be found at his current home base at Unbreakable Tattoo. Alayna Magnan is known for her pin-up girl artwork with bold colors and lines. Before moving to Los Angeles, Magnan earned a bachelor’s degree in Studio Art from the College of Santa Fe in New Mexico, where watercolor pin-ups preceded her tattoo style. After spending six years as an accountant, Magnan made the switch to tattooing at age 30 by working nights and weekends. She is currently based out of Rabble Rouser Tattoo in West L.A. She was also featured on season three of Oxygen’s “Best Ink” TV series. 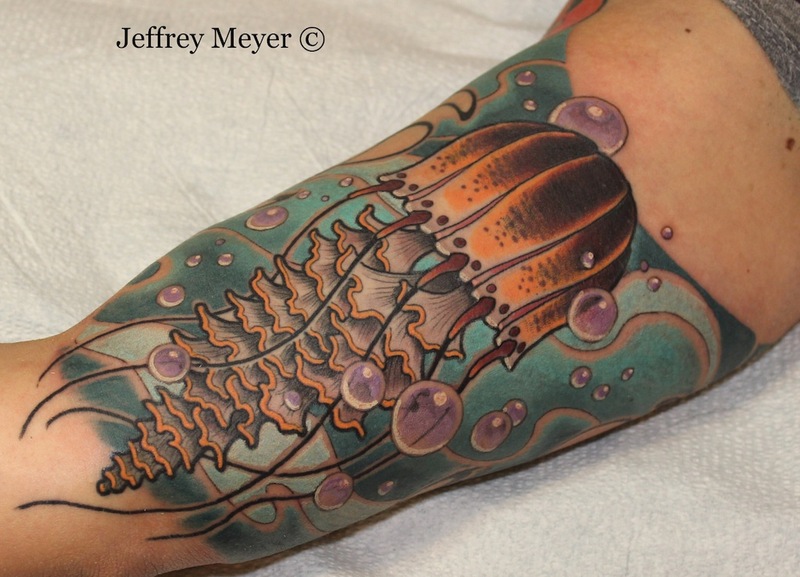 Jeffrey Meyer is headquartered at Unbreakable Tattoo in Studio City. Between his time touring with a band in his early twenties, he drew portraits and caricatures at amusement parks before deciding to move to Las Vegas. There Meyer had the chance to apprentice with Fred Giovannitti followed by an apprenticeship with Sung Song in Los Angeles. His take on traditional is more modern, and he especially loves flora, fauna, and birds. His goal as an artist is to keep improving his work, and he has been learning the art of Japanese tattooing. 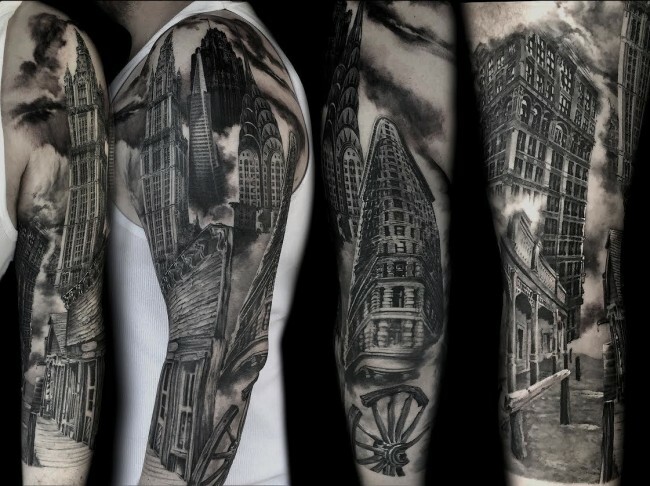 If you’d like a tattoo by the same artist as Lindsay Lohan, D’mon “The Architect” Meuli is your guy. Though he is sought after by the stars of Los Angeles, he originally got his start in his native New Zealand with mentor Phil Mathias. After moving to Los Angeles, he co-founded Silver Lake studio California Gold Tattoo. He specializes in blackwork, among other styles, and hopes his work “inspires, celebrates, and affirms life, marking, illuminating, or unlocking significant stages of his clients’ personal journeys”. 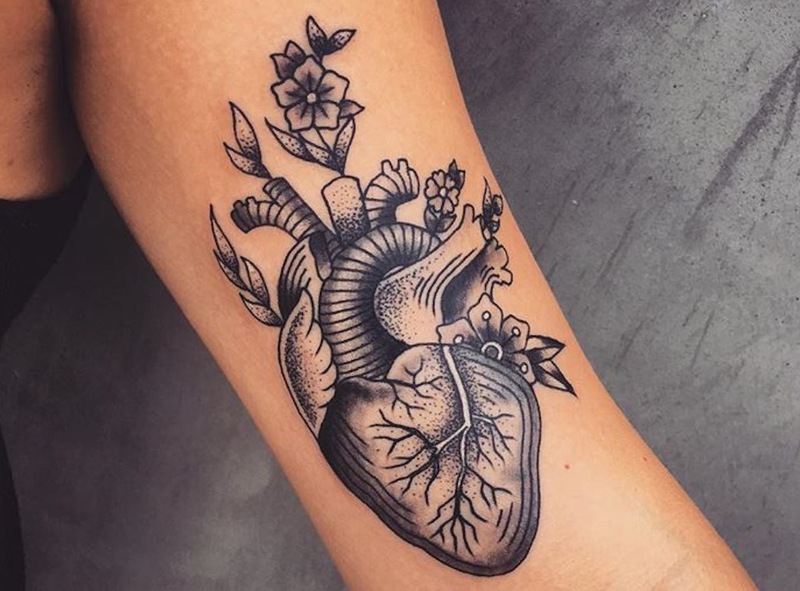 Andrea Revenant can rock anything from a colorful portrait of David Bowie to delicate linework, a detailed black and grey heart, bright flowers, and everything in between. She got her start tattooing right out of high school, and now has more than ten years of experience. 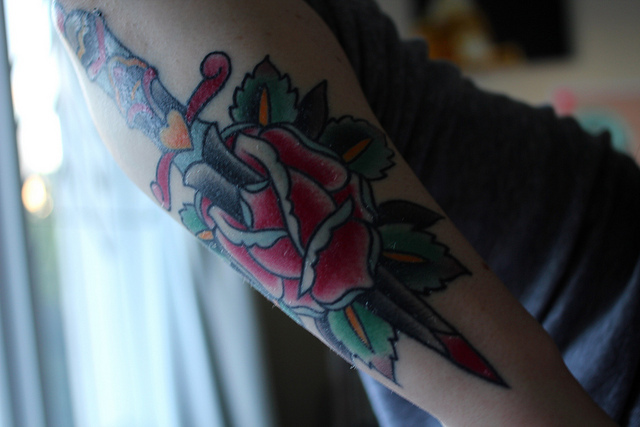 She especially likes color work, mandalas, and geometric tattoos, and enjoys “most things that need a feminine touch”. You can find her working out of Third Street Tattoo in Hermosa Beach. Jeremy Swan is no stranger to the crossover between entertainment and tattooing. He has tattooed celebrities such as Linda Perry and Pink and has done some excellent cover-up work for TLC’s America’s Worst Tattoos. He got his start tattooing in Monterey Bay, gradually built a client base in L.A. and eventually opened his own shop, Broken Art Tattoo, in Silverlake in 2005. While he is a versatile artist, he especially likes “clean, detailed line work, high contrast shading, and saturated color”. Best known for his turn on the TV series “LA Ink” in seasons three and four, Dan Smith has feet in the worlds of both tattooing and music. He got his start in an Australian tattoo shop before traveling around the world and landing in Southern California in 2004. Eventually Smith landed a spot on “LA Ink” at Kat Von D’s High Voltage Tattoo in Hollywood. He recently opened his own shop, Captured Tattoo, and specializes in western traditional, lettering, and music tattoos. He is also the lead singer for band The Dear & Departed.